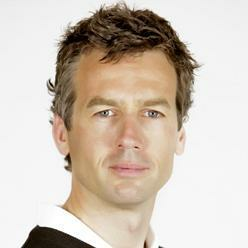 Tim van Heusden is a member of the Professionals Golfers' Association (PGA) of Great Britain & Ireland, and PGA Holland. He is based in Aalsmeer, Holland.After getting his degree in Business Economics in 1997, he started working as a self-employed business consultant. In 2004 he decided to follow his dream and become a golf professional. He enrolled for the Foundation Degree in Professional Golf of the PGA of Great Britain & Ireland and started as a trainee at the Golf Club Rozenstein in Wassenaar. In 2007 Tim was the first non-native English speaker to win the coveted Titleist PGA Assistant of the Year award of the PGA of Great Britain & Ireland and he was promoted to Head Professional at Golf Club Rozenstein. In 2008 he co-founded the Dutch Golf Performance Institute (www.dgpi.nl) with Bas van der Steur, a physiotherapist and physical trainer who also works for the Dutch Golf Federation (NGF). Within DGPI Tim is responsible for 3D Motion Capture using the AMM 12-sensor system. This gives him the opportunity to work with the elite players of Holland. In addition to this he coaches players of all levels. Tim is a TPI Lead Presenter in Europe and has delivered many TPI seminars in recent years. With TPI he has achieved all obtainable certifications of all tracks. Tim’s excellent golf coaching skills are broadly acknowledged. Only recently he received the honour to be mentioned in Golf Weekly’s list of best professionals of 2013.